TTI is now holding Murata DC/DC converters with robust design and an ability to delivery the high currents required by the railway industry. 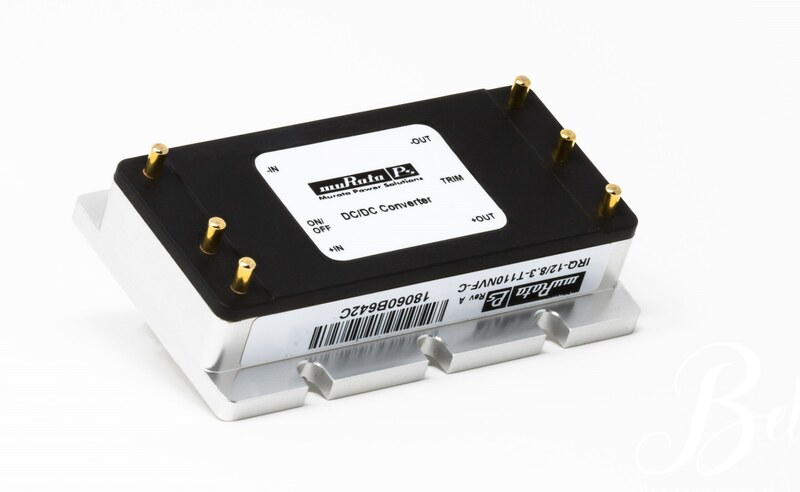 Electronic distributor, TTI is now stocking Murata’s latest DC-DC converters designed specifically for use in railway applications. With encapsulated circuitry for optimal thermal and vibration performance, the IR Series delivers high power efficiency in an industry-standard half or quarter brick pinout, enabling designers to choose the most effective method for cooling and power delivery. There are two variants within the IR Series. The IRQ Series is a highly efficient, quarter brick 100W regulated DC-DC Converter module that offers high current output of up to 20A, delivers fixed DC output voltage up to 100W (24V @ 4.2A) and has a wide range of inputs between 57.6VDC – 160VDC (110V nominal). Regulation is ±0.3% from no load to full load. These efficiencies are enabled by the IRQ Series’ diode-rectifier topology and fixed frequency operations. Protection features include input under voltage lockout, output over voltage lockout protection, output current limit, current sharing, short circuit hiccup, Vout overshoot and over temperature shutdown. Other features include a maximum baseplate operating temperature of 100degC at full load. The IRQ Series meets all UL and IEC emissions, safety and flammability certifications and available options include various pin lengths and a flanged baseplate. The IRH Series encapsulated half brick 150W isolated DC-DC converter offers high output current of up to 30A and delivers fixed DC output voltages up to 150W (5V at 30A). It delivers 5V, 12V or 24V out from a wide range of inputs between 57.6VDC – 160VDC which covers 96V and 110V input ranges. The industry-standard packaging offers options for electrical connections and mounting for thermal management. Designed with the latest circuit technologies for the highest reliability in harsh environments, the IRH Series is tested to EN61373 for mechanical shock and vibration and meets EN60068for damp heat and dry heat specifications. Superior EMI performance is achieved with 5-sided metal shielding. The devices have many features to protect power modules and costly end use equipment from for fault conditions, including input under voltage lockout, output over voltage protection, output current limit, short circuit protection (hiccup mode) and over temperature shutdown. Fixed frequency operation simplifies input filter design. Options available in the IRH Series include various pin lengths, pin functions and baseplate cooling options.